Since the 1970s, photographer Martin Parr has documented surreal pockets of everyday experience – from bored couples to garish food. 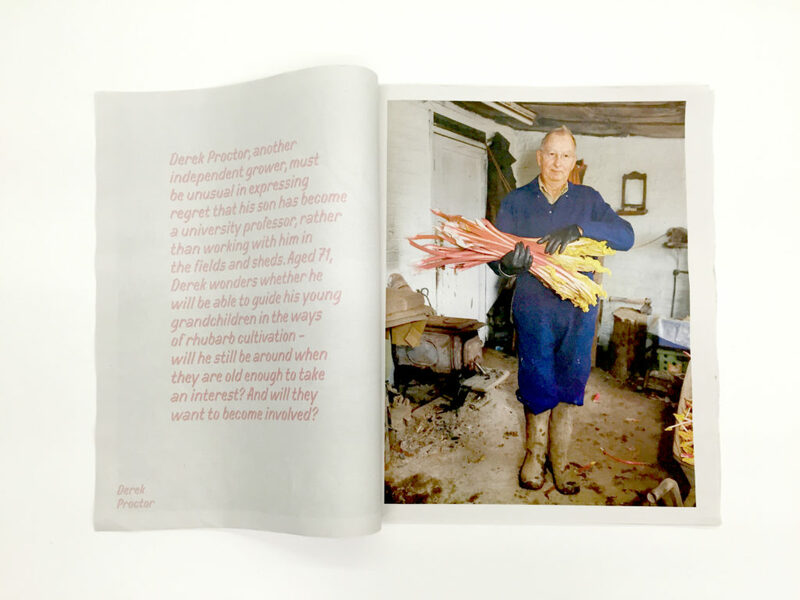 Last year, the Hepworth Wakefield art gallery commissioned Parr to turn his lens on the Rhubarb Triangle, an anomalous nine-square-mile area in West Yorkshire known for its prolific production of early-forced rhubarb. Parr told the The Guardian in January: "There are only 10 or 11 growers left in total and we approached them all [about taking part]. A couple said no but we photographed all of the others, several of whom had never been captured before. It is a fascinating subject and really helps connect the gallery with the local community." This new work formed part of the Hepworth Wakefield's retrospective of over 200 of Parr's photographs, The Rhubarb Triangle & Other Stories: Photographs by Martin Parr, which opened in February and ran through June 2016. 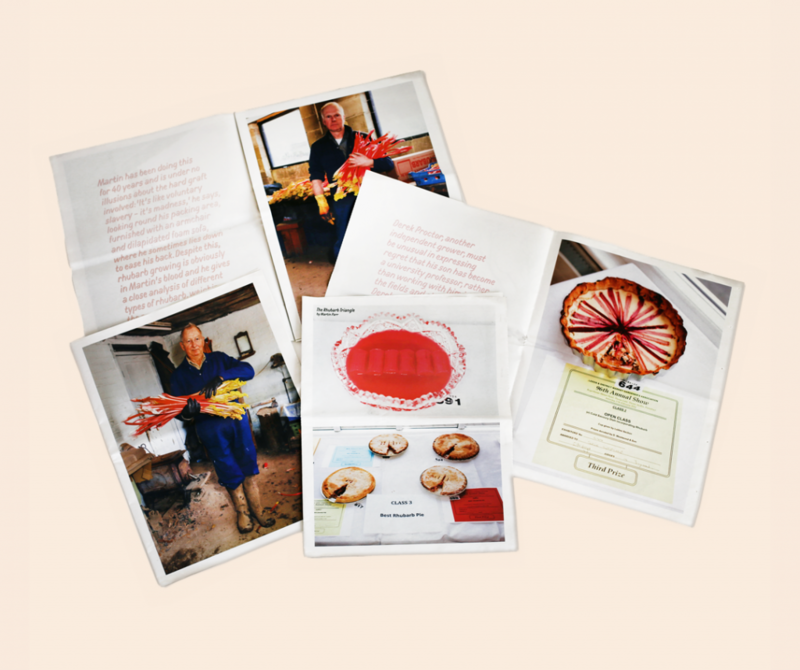 To accompany the exhibition, the Hepworth Wakefield published a traditional tabloid catalogue with photos from the Rhubarb Triangle series, tracing the plant's journey from arduous harvest to triumphant pie competition, hosted annually by the Leeds & District Market Gardener’s Association. Rosie Ripley, of the Hepworth Wakefield, says the gallery was eager to publish the work in newsprint. "Martin Parr and the Hepworth Wakefield both strongly believe in the accessibility of art for the broadest possible audience," she told us. "The cost-effectiveness and democratic possibilities offered by the opportunity to upload a design and then see it manifested as a newspaper were too good to miss!" The Rhubarb Triangle is for sale in the Hepworth Wakefield shop for £5. The Rhubarb Triangle & Other Stories: Photographs by Martin Parr exhibition ran from 4 February – 12 June 2016. 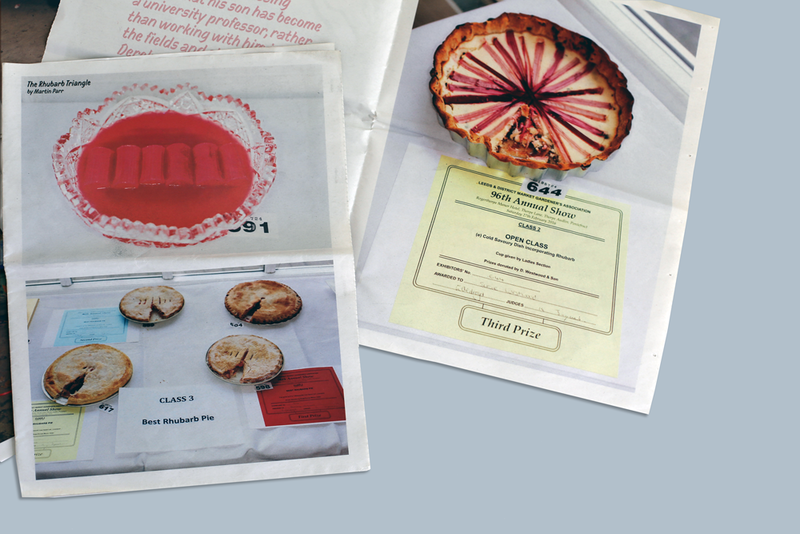 The newspaper was designed by Leeds-based communications studio The Common Room.